Frank Lloyd was one of the founders of the Academy of Motion Picture Arts and Sciences, the organization responsible for bestowing Academy Awards, and served as the group's president from 1934 to 1935. In this administrative role, he helped mainstream and legitimize motion pictures. He also earned a capstone of peer recognition during the period of 1929 to 1935, when he earned three Oscar nominations for 'Weary River' in 1929, 'Drag', also 1929 and 'Mutiny on the Bounty' in 1935, and two Academy Award wins for 'The Divine Lady' in 1929 and 'Cavalcade' in 1933. His three 1929 nominations in the same year are unique in movie history. Sadly, because Lloyd was more of a professional craftsman than a film maker with an auteur stamp, his early influence on the medium has often been overlooked. Frank Lloyd was born on February 2, 1888 in Glasgow, Scotland. He started out as a stage actor, following in the footsteps of his father, a musical comedy actor, before emigrating to Canada in 1910 and to the United States in 1913. He began his film career in the silent era, acting in, writing, and directing such shorts as 'The Law of His Kind' in 1914. He then started to make feature films with literary adaptations such as 'A Tale of Two Cities' in 1917, often writing his own scripts and producing or co-producing his films. His productivity continued unabated for the next 11 years with dozens of titles, including the Zane Grey western 'Riders of the Purple Sage' in 1918, and 'Oliver Twist' in 1922 with Lon Chaney as Fagin, which saw Lloyd's judicious editing adapt Charles Dickens's novel to the fast pace of the silver screen. Other notable Lloyd films of the 1920's include the Milton Sills swashbuckler 'The Sea Hawk' in 1924, and his Academy Award-winning historical drama 'The Divine Lady' in 1929. The dawn of sound films swelled budgets to match the greater technical demands, and Lloyd adapted well to the studio system. His first sound movie with a synchronised musical soundtrack was 'Adoration' in 1928. 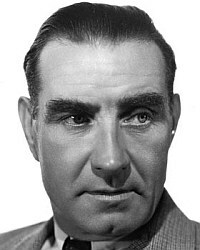 Lloyd worked steadily throughout the rest of his career, and much of his popularity comes from his 1930's output with films such as 'Cavalcade' in 1933, 'Mutiny on the Bounty' two years later, and 'If I Were King' in 1938'. He continued making distinctive movies in the 1940's with 'The Howards of Virginia' in 1940 and the much admired James Cagney vehicle 'Blood on the Sun' in 1945. He also produced several films in the early 1940's, most notably Alfred Hitchcock's 'Saboteur' in 1942. He was married to Alma Haller and had one child, Alma Katherine. Frank Lloyd died on August 10, 1960 in Santa Monica, Los Angeles.